Dr. Franklin Ho graduated from the University of California School of Medicine, San Diego. He did his residency as well as his fellowship at Harbor- UCLA Medical Center. He is board certified in internal medicine, sleep medicine, critical care medicine, and pulmonary disease. 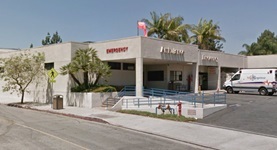 Currently, he practices at the Whittier Hospital Medical Center.